Technology once gave humanity the illusion of being severed from nature: the industrial age, culminating with the assembly line, convinced us that designing structures and products was about piecing together artificial parts. 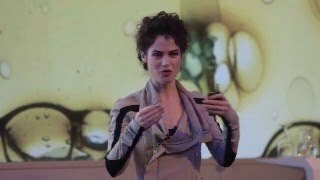 Award-winning architect, designer and MIT professor Neri Oxman says thanks to four new technologies – computational design, additive manufacturing, materials engineering and synthetic biology – we can now imagine nature and human design as one in the same, an emerging state which Oxman calls the “Age of Entanglement.” As she eloquently explains in her acclaimed TED Talk which has garnered more than 2 million views, we can make the revolutionary transition from nature-inspired design to design-inspired nature. Through this framework, designers in every industry from consumer goods and apparel to architecture and construction are given a new lens through which to see – and create – a radically different future. A powerful, engaging and charismatic speaker, Oxman alters her audiences’ perception about the nature of our universe and reveals how to harness these new insights for design purposes. Oxman, a self-described “design activist,” is the pioneer of Material Ecology, which considers computation, fabrication and the material itself as inseparable dimensions of design. 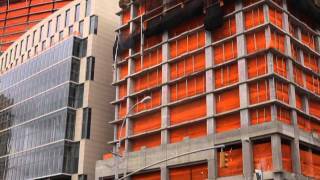 In this approach, products and buildings are biologically formed and digitally engineered by, with and for nature. 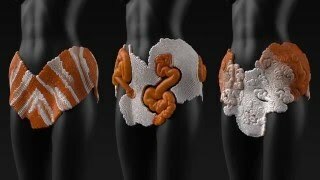 Oxman’s MIT design team has successfully “hacked” nature itself to create numerous products ranging from clothing to substitutes for plastic. To illustrate how she approaches her groundbreaking work, Oxman uses a modified version of the “Krebs Cycle” – what she calls the “Cycle of Creativity.” Oxman and her team work within the four quadrants of art, science, design and engineering to holistically join these disciplines – falsely believed to be separate – in the search for new perceptions about how to design products and processes. In doing so, Oxman does not tear down barriers but reveals to us all that those barriers never truly existed. Her groundbreaking work puts designers back in touch with the reality that we are all part of a living, breathing whole. The Sony Corporation Career Development Professor and associate professor of Media Arts and Sciences at the MIT Media Lab, Oxman’s work has been documented in more than 150 scientific publications and inventions. Her work has also been presented at the White House and the World Economic Forum, and is in the permanent collections of MoMA, SFMOMA, Pompidou, MFA, Cooper Hewitt, Smithsonian Design Museum, the FRAC and the Museum of Science, amongst others. Her innovative projects include the Silk Pavilion (a robotically spun, biologically augmented structure); the Synthetic Apiary (a “perpetual spring” environment for bees); a glass 3D printer; and 3D printed fluidic clothing for synthetic microorganisms. Oxman received her PhD in design computation as a Presidential Fellow at MIT. Prior to MIT she earned a diploma from the Architectural Association (RIBA 2 with Distinction) after attending the Faculty of Architecture and Town Planning at the Technion Israel Institute of Technology (Hons), and the Department of Medical Sciences at the Hebrew University in Jerusalem. 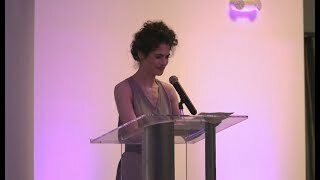 Neri Oxman is available for paid speaking engagements, including keynote addresses, speeches, panels, and conference talks, through the exclusive representation of Stern Speakers, a division of Stern Strategy Group®. For centuries, technology seemed to drive a wedge between humanity and nature. But now, new technologies like computational design, additive manufacturing, materials engineering and synthetic biology have allowed us to effectively “hack” nature to design revolutionary products. 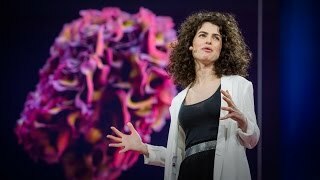 In this presentation, Neri Oxman reveals how science has brought us full circle from disassociation with nature to an “Age of Entanglement” in which art, science, design and engineering are joined together holistically. At the meeting point of these four disciplines lies never-before-imagined potential for designers in every industry. As the pioneer of the new field of Material Ecology, Neri Oxman has pushed the boundaries of what was once thought impossible in design. She and her team at MIT have created products ranging from bricks made out of mushrooms to domes built by robots and live silkworms, showing that in an age of endless technological possibility, there are no longer boundaries between science and art, or between industrial design and nature. Crucially, these products are meant to create a more sustainable future rather than just dazzle and impress, leveraging nature itself to make humanity more compatible with the environment. In this presentation, which can be customized to any industry, Oxman delves into her most radical designs and conceptions, with the aim of stimulating audiences into imagining how they, too, can use nature to create products that address human needs and help solve the world’s problems. New technologies such as gene editing are providing designers and architects with more possibilities than ever before to create innovative new products. But such a process also requires creativity, imagination and an understanding of how one can use design to reshape nature itself to solve humanity’s problems. 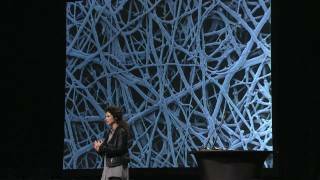 In this presentation, the visionary architect and designer Neri Oxman instills a sense of the underlying philosophy behind her acclaimed designs. Crucially, Oxman reveals her modified “Krebs Cycle” that allows her and her team to work within the four quadrants of art, science, design and engineering to ideate and change the world.